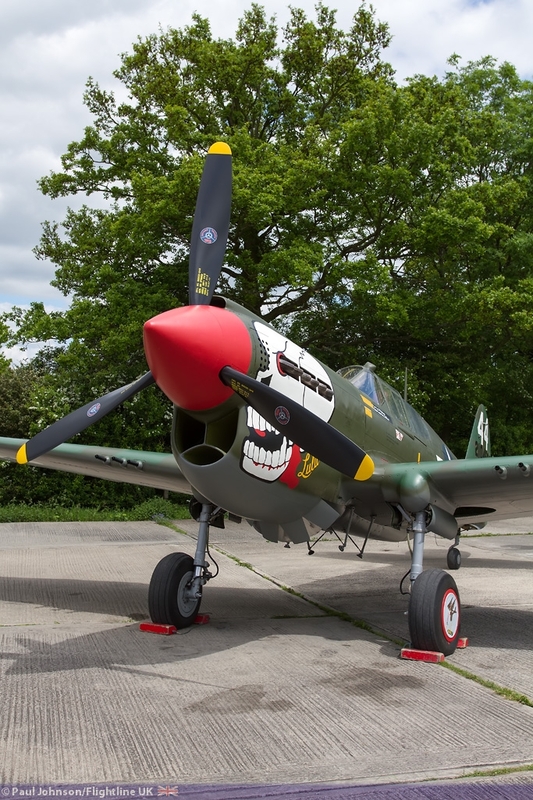 Peter Teichman’s Hangar 11 Collection has become a very popular addition to the display circuit performing at venues large and small up and down the country and even venturing into Europe. 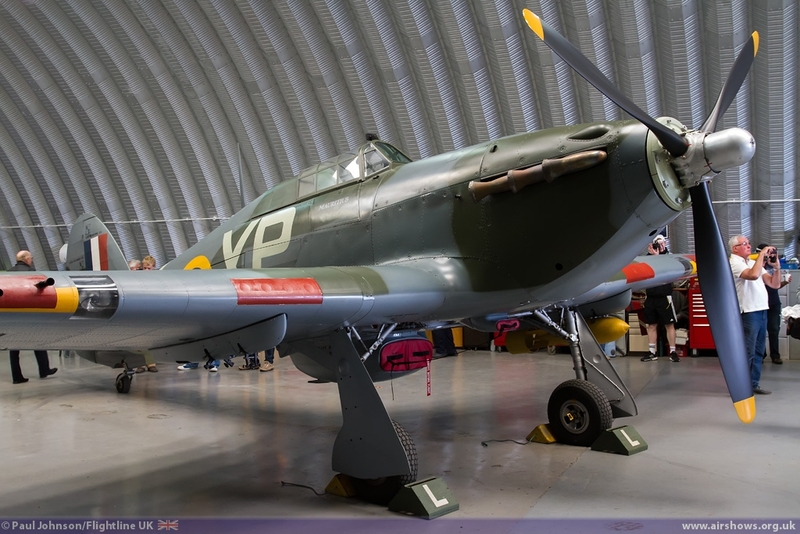 The Collection is home to four legendary fighters - the P-51D Mustang, Hawker Hurricane IIb, Supermarine Spitfire PR XI and Curtiss P-40M Kittyhawk. 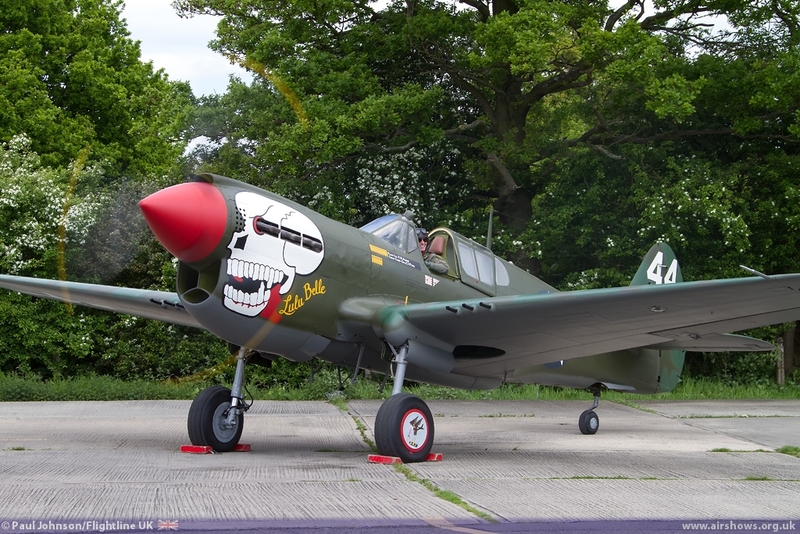 The 2nd June saw Peter unveil a brand new colour scheme on his P-40M Kittyhawk at his North Weald base. 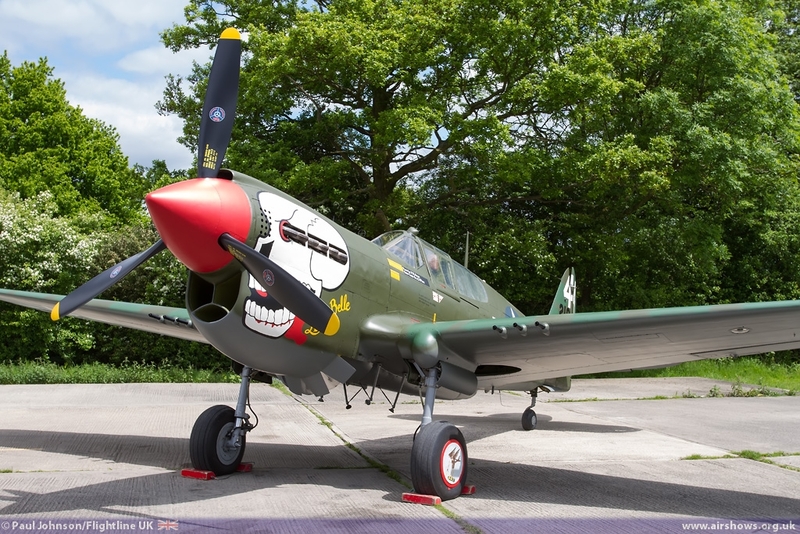 Hangar 11 Collection aircraft are amongst the most popular performers at airshows during the display season. 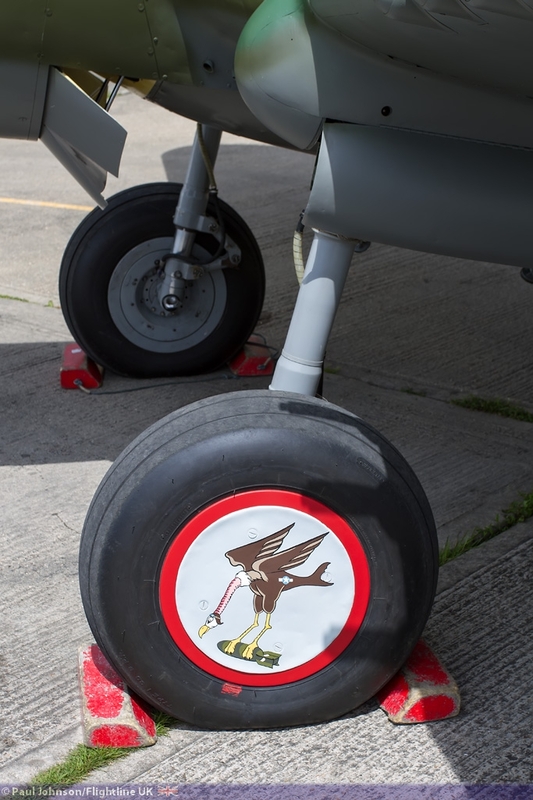 They grace not only the major seaside and airfield based airshows, but a number of smaller public and private events each year. One of the truly great things though is Peter Teichman doesn’t stop flying out of season. 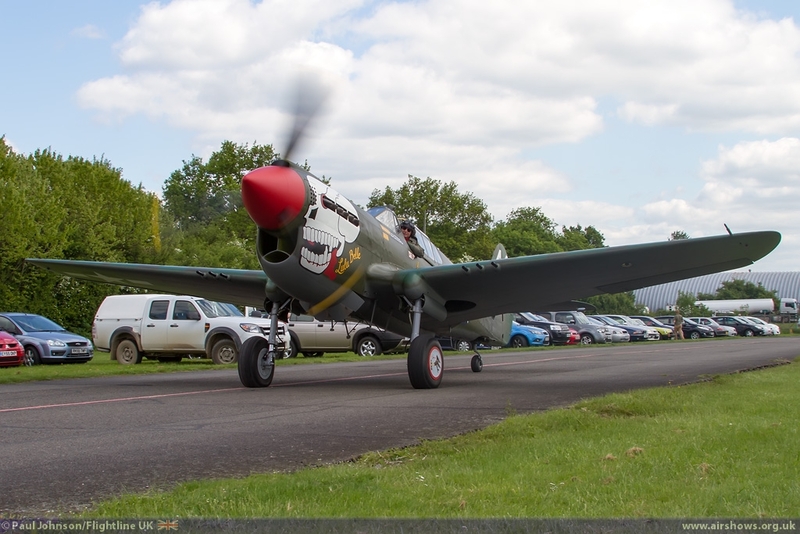 He can very often be seen flying from North Weald or visiting other airfields throughout the whole year simply enjoying his wonderful collection of aircraft. 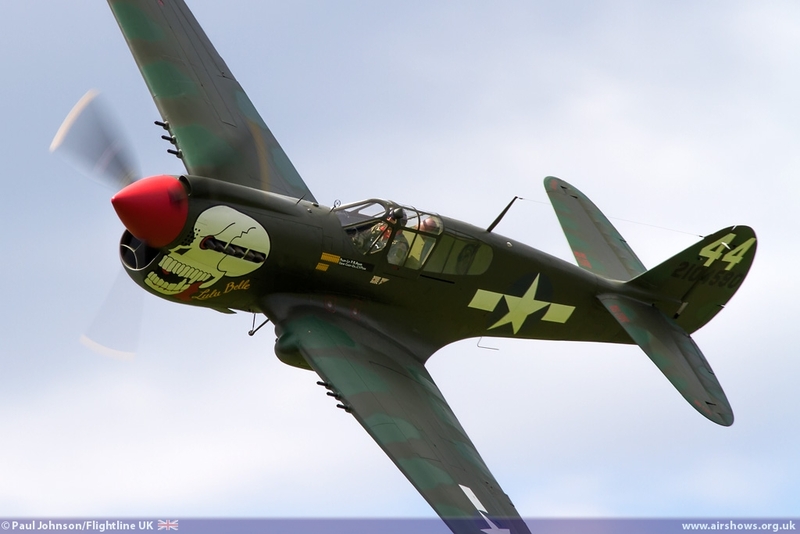 The P-40 is one of my favourite aircraft; it just looks and sounds right. 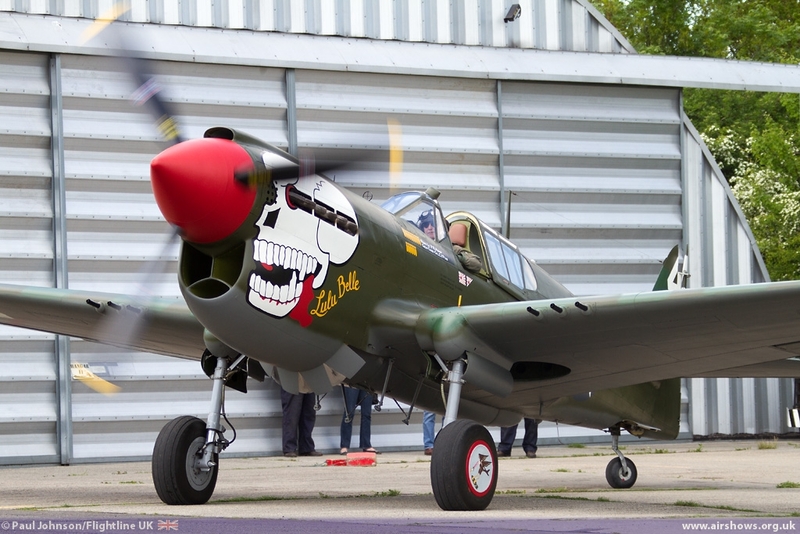 It is a popular aircraft with pilots too famed for its excellent handling, ruggedness and reliability. 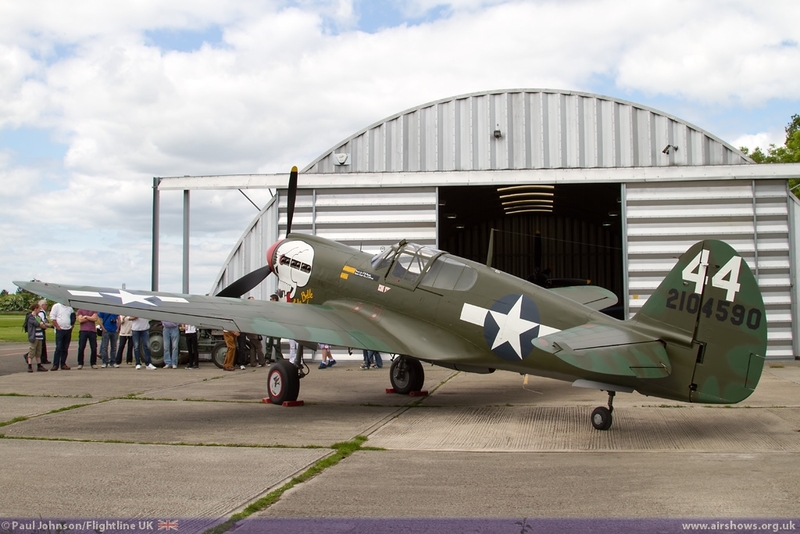 The Hangar 11 Collection P-40M Kittyhawk G-KITT has been on the UK airshow circuit for many years, first with the Fighter Collection at Duxford before joining Hangar 11 in 2005. 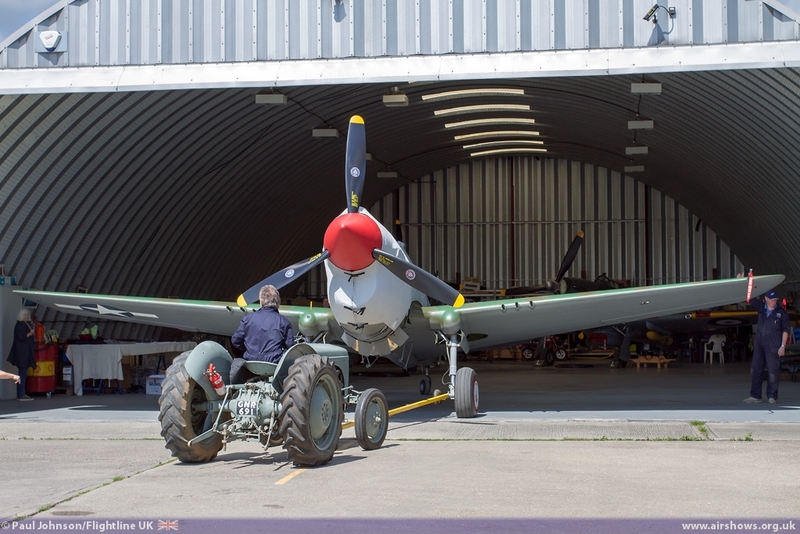 This particular aircraft was built in 1943 for the Royal Canadian Air Force with the serial No. 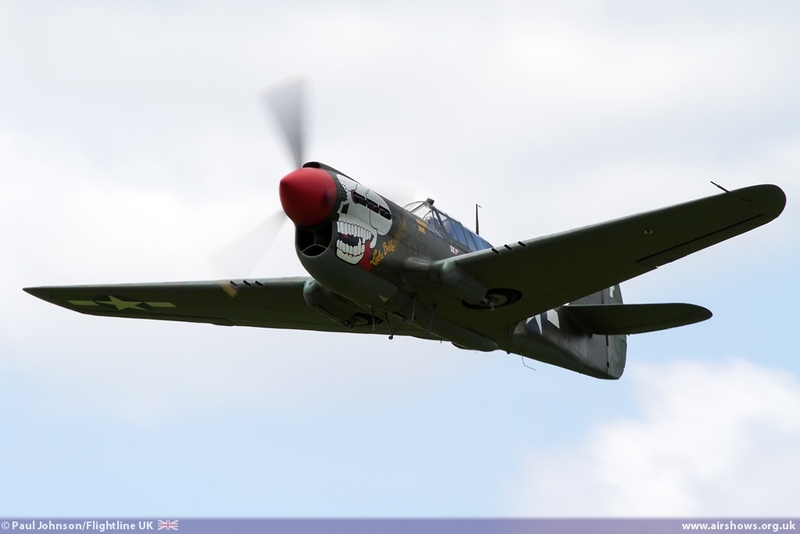 840 and flying with various squadrons, though she only amassed 732 flying hours in military service. 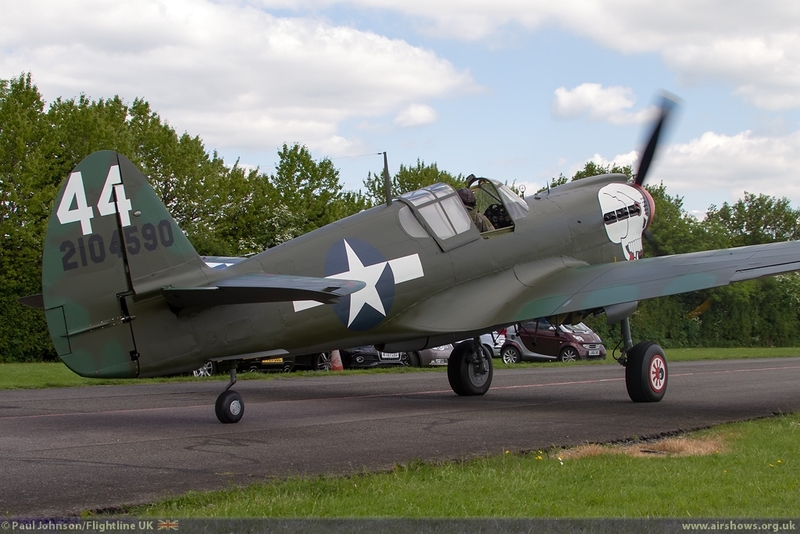 Retired from flying in 1950, she moved to Oregon State University as an instruction airframe before being put into storage. 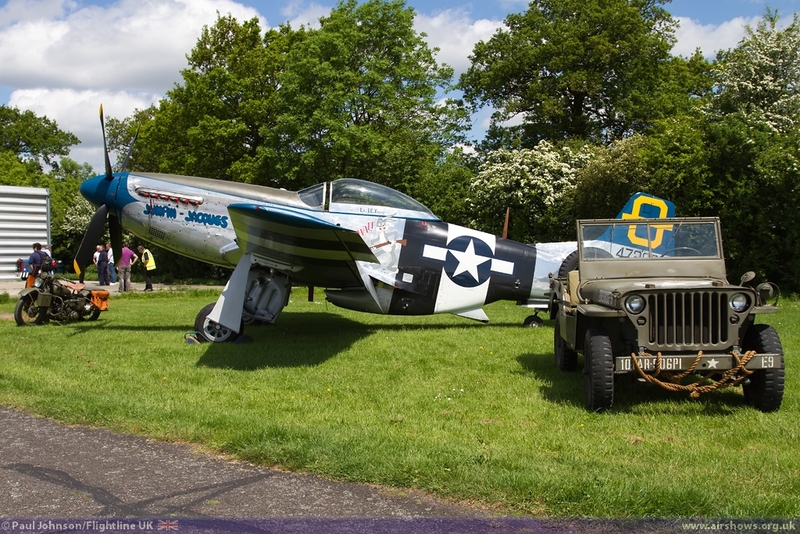 In the late 1970’s she was found by Tommy Camp who restored her to flying condition with the first flight in 1982. 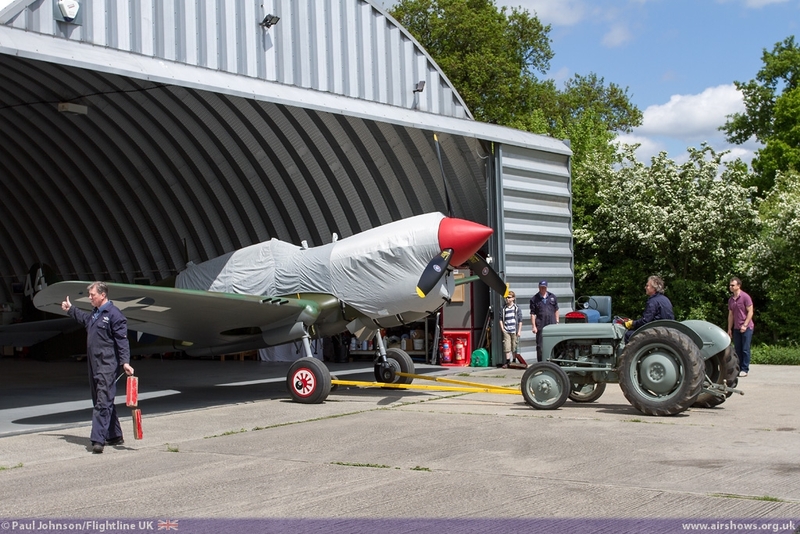 Over the last winter, Peter’s dedicated team of engineers stripped the P-40 of paint down to the bare metal. 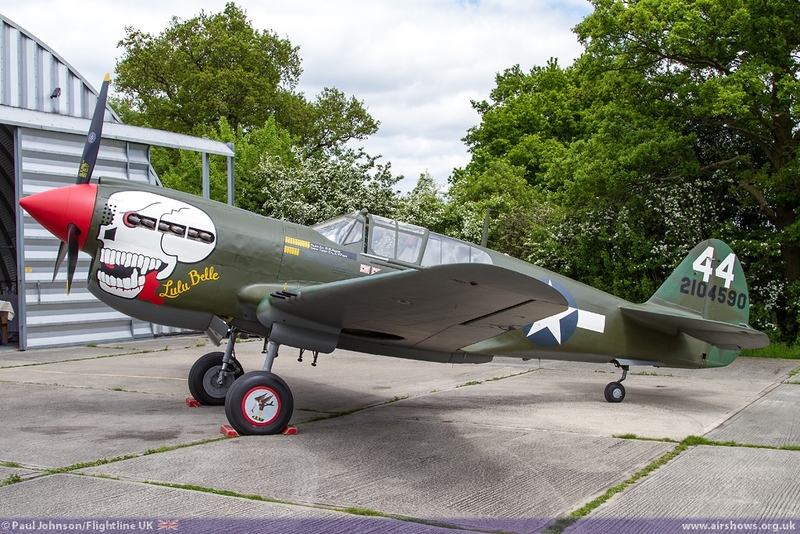 By April, the stripping was complete and the aircraft was returned to airworthiness for a short hop to Biggin Hill for the first stages of the repaint. 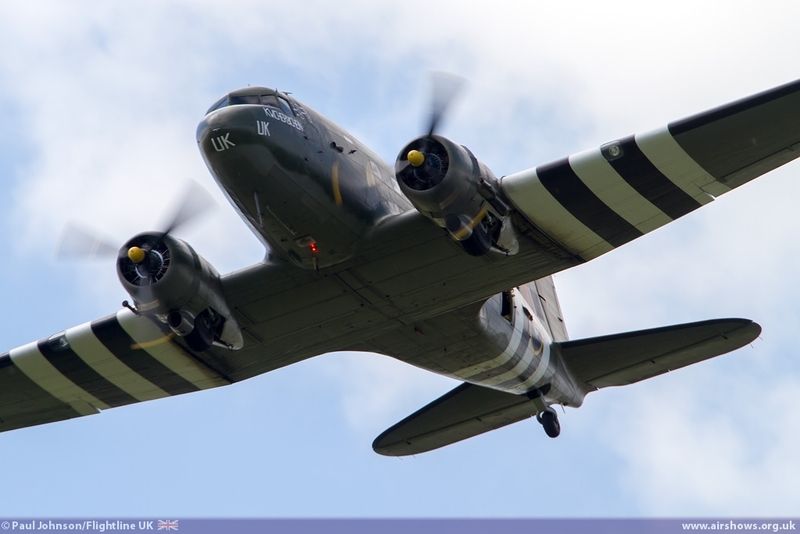 She emerged again in early May with the initial coat of Olive Drab and Grey plus just a few hints of what was to come! 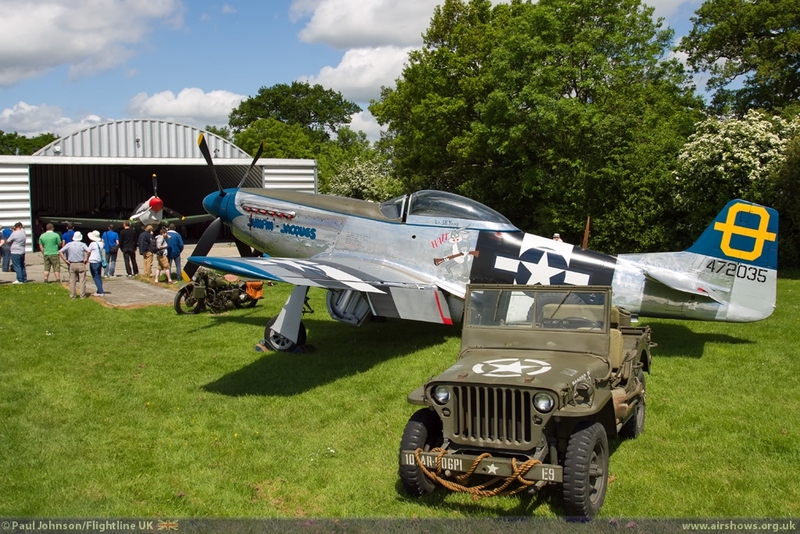 The date of the unveiling was announced on the Hangar 11 Facebook page, and together with some welcome early summer warmth and blue skies, attracted a sizeable crowd to an informal event held around ‘Hangar 11’ at North Weald Airfield. 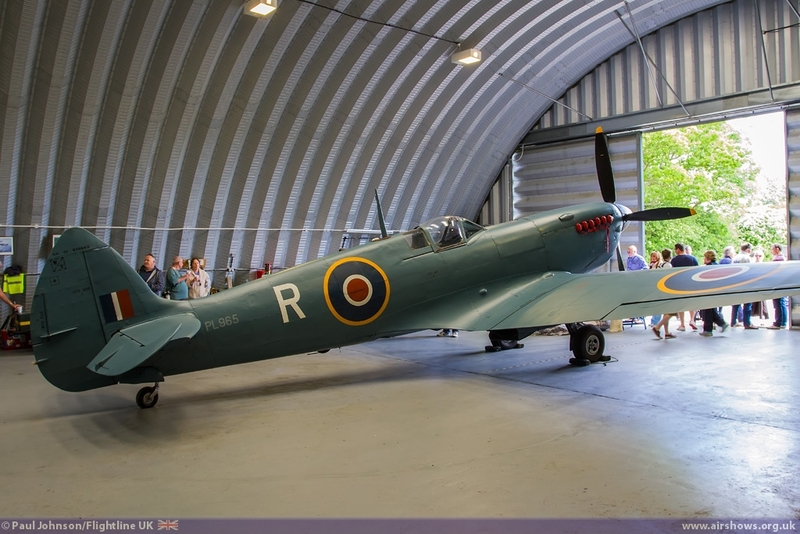 It was a superb day, not least to have such great access to Hangar 11, but also the very friendly welcome everybody had! 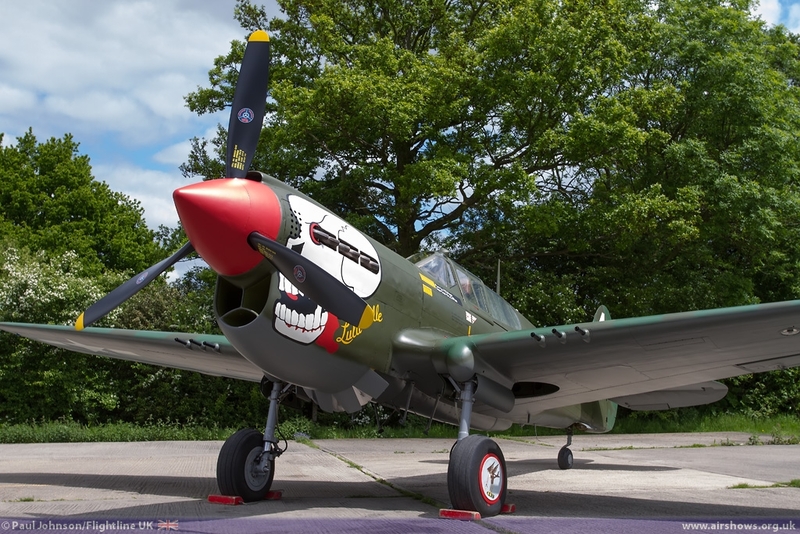 Mid-day finally saw the big moment was the aircraft’s canvas covers were removed from the nose to reveal the new and quite stunning artwork of P-40N-1 Warhawk 44-2104590 ‘Lulu Belle’ of the 89th Fighter Squadron, 80th Fighter Group of the 10th Air Force – The Burma Banshees. 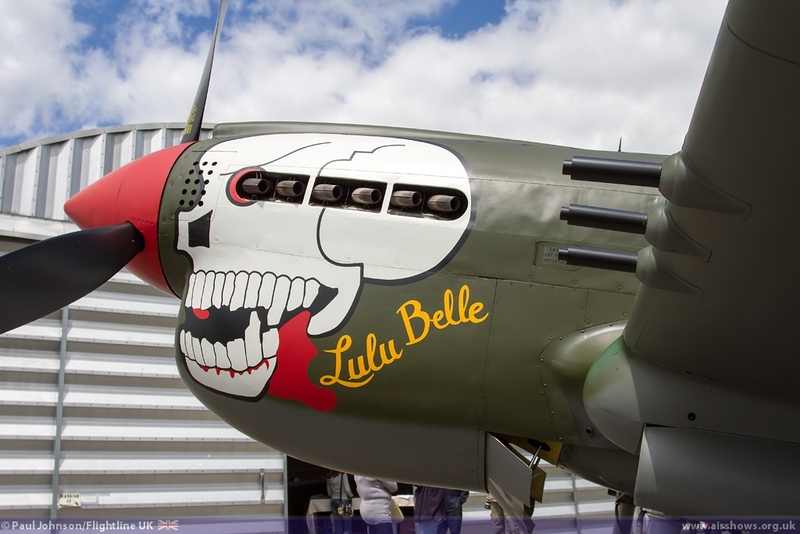 The aircraft represents one of two aircraft in the Squadron called ‘Lulu Belle’ and both flown by Lt. Philip Adair at Nagaghuli in India. 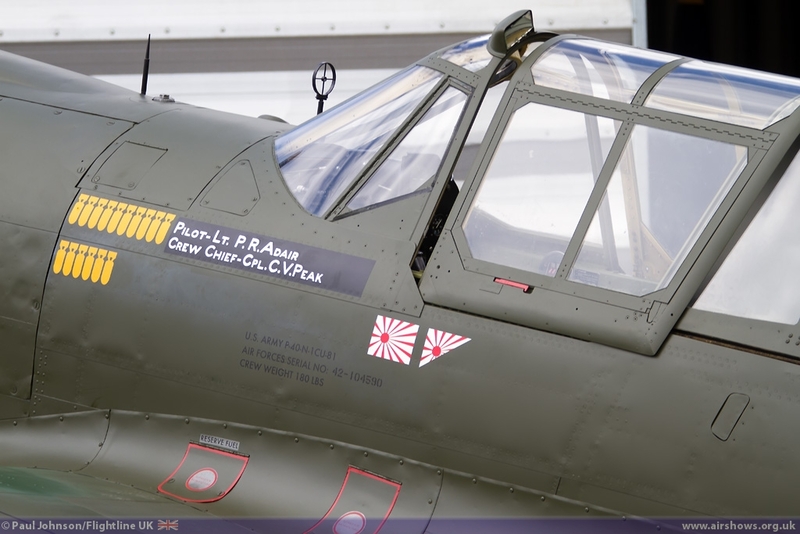 Adair became an ‘ace’ making a name for himself for attacking a large formation of Japanese fighters and bombers on 19th December 1943 downing an ‘Oscar’, damaging two others and also one of the ‘Sally’ bombers. 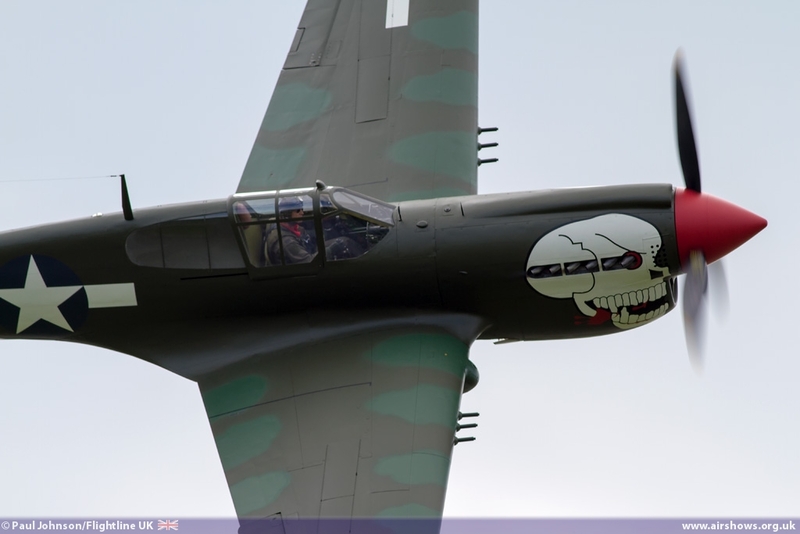 For that action he earned the Silver Star. 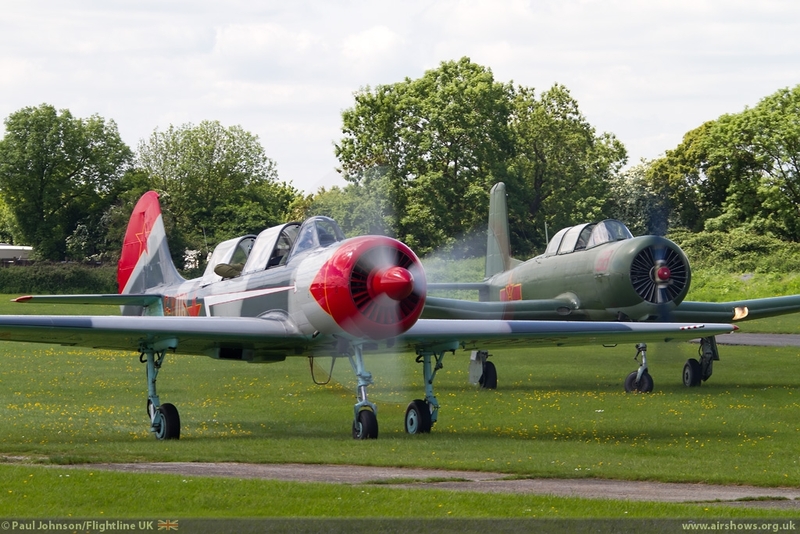 As well as allowing photography of the new colours on the ground, Peter also gave a display of the aircraft in the air for the gathering which was greatly appreciated before later departing for an air-to-air photoshoot of the aircraft. 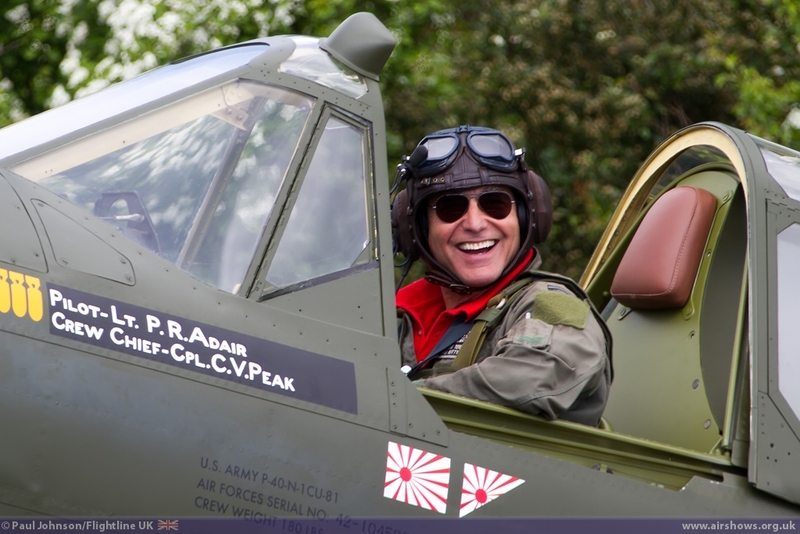 It was a great day and thanks must go to Peter and all of the Hangar 11 Collection team for such a great day out.